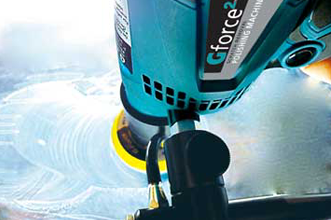 GlasWeld offer a unique scratch repair polishing system, 'G Force' , which is able to produce distortion free results with no optical deviation or visibility distortion. We can help with - glass scratch removal, wiper blade marks on vehicle windscreens and general glass rubs common in the processing industry. 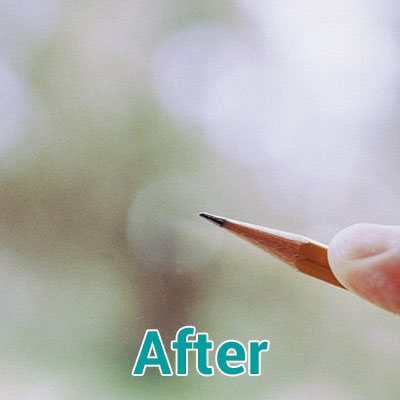 "Our scratch removal process is unlike any other in the world." Glass is what is known as an amorphous solid, this means that it has characteristics of both a solid and a liquid. When glass receives a light or “soft” scratch all that has happened is the particles have been moved or displaced along the surface, unlike a deep or “hard” scratch where particles have actually been removed. The equipment developed by GlasWeld creates the conditions to cause the displaced glass particles (soft damage) to flow back into the displaced area or scratch caused by the damage. As a rough gauge, if you run your finger nail over the damage and it catches in the scratch it is more than likely a deep scratch and therefore cannot be removed distortion free, although it can be removed. 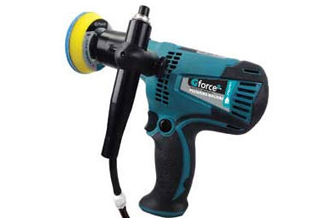 The equipment used, called 'G Force', combines the speed of a high torque sander-type drill, a specially developed dimpled pad and a non-toxic compound as the medium to create movement and flow of the molecules of glass to refill the void caused by the scratch. During the process, the void fills from the bottom, so the width of the scratch remains the same until the last few minutes of the process where after it fills completely and the scratch is gone. Soft scratches are generally caused accidentally like a wiper blade mark or light sandpaper. In winter various implements are used to remove ice from screens and these often scratch the glass. In the glass manufacturing process, light damage like glass on glass damage is usually considered light. 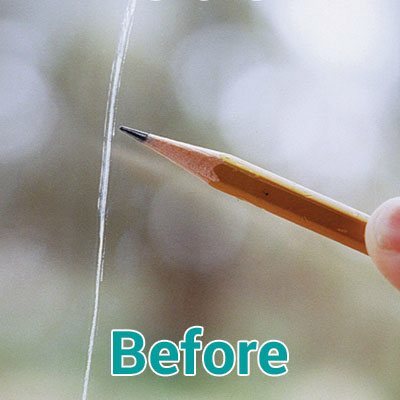 For the light damage we can remove the scratches distortion free in a one step process. Hard scratches are generally not made accidentally like graffiti. Grinder and Weld splatter are also generally known as hard damage and require an extensive two stage process that does not allow for distortion free results. Here at GlasWeld UK we specialise in the one stage, distortion free method as this is critical for windscreens. For those with a more technical interest we can remove scratches up to .007" (7 micron) deep in windscreens, mirrors, annealed, plate and even tempered glass, curved or flat. We offer a specialised scratch repair polishing system, 'G Force' ,which is believed to be the only system able to produce distortion free results with no optical deviation or visibility distortion. One-step process with no interim clean up or use of multiple pads - produces some of the fastest repair times in the industry. Easy to use portable system allows for use in both facilities and in the field. State-of-the-art high-torque polishing machine with patented water-feed system. Independently tested by an advanced optical distortion measurement system, and was proven to be distortion free. BSI and SGS certified. Non-abrasive compound and pads removes the scratch, not the glass. Works on all types of glass tempered, annealed, laminated (windshields), Low-E, bulletproof and even curved glass and mirrors. GlasWeld's distortion-free polishing equipment is available for glass processors to use in-house to restore, as new, glass that has been scratched during production, handling or finishing - thus avoiding wastage of added value glass and reducing scrap ratios. We offer a mobile on-site service to bevel, arras or polish glass, avoiding expensive replacements. GlasWeld can rectify site problems discovered on glass with manufacturer's imperfections quickly and effectively. GlasWeld's staff are available to help solve all types of on-site problems suffered by customers of glass processors, either for the factory or the client. The GlasWeld Distortion Free polishing system has been tested and verified by both the BSi in the UK and SGS in the USA. Scratches caused by wiper marks on the windscreen can cause a vehicle to fail its MOT and scratches caused by diamond rings, vandals or grit caught between the doors and the side windows can seriously detract from the appearance and value of the vehicle. Local GlasWeld Technicians can respond to these types of problems-either at the driver's home or at his local car dealer and repair the glass without any distortion.